Bangabandhu Sheikh Mujibur Rahman, the father of the Bengali nation spent almost his whole life in prison for claiming the rights of the people of the East-Pakistan (present Bangladesh). He wrote his experiences in his diaries which was invented by his daughter present honorable prime minister of Bangladesh Sheikh Hasina. Then she published the experiences of his father as a book named Karagarer Rojnamcha. 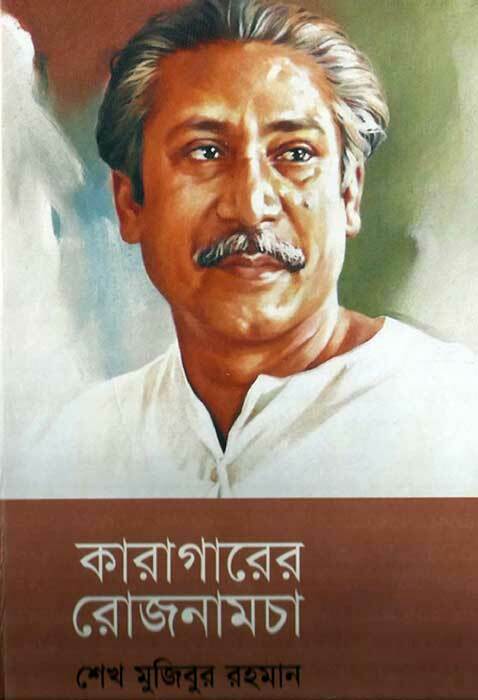 Bangabandhu started the Language Movement in 1948. On March 11, he started a movement demanding the Bangla as the state language and was arrested. He was released on 15th March. Student Sangram Parishad started a tour across Bangladesh to demand the Bengali language as the state language. To create public opinion The Sangram Parishad was established in every district. On 11 September 1948, the then government arrested Bangabandhu Sheikh Mujibur Rahman in Faridpur. He was released on January 21, 1949. After that, he started touring again to create public opinion. He supported the claims of fourth-class employees of Dhaka University and took part in the movement for their fair demand. The government arrested Bangabandhu Sheikh Mujibur Rahman again on 19th April 1949. He was released in July. In this way after the arrest and release of several times, on 14 October 1949, after the public meeting in Armanitola ground, there was a procession called Vukha Michil. Awami League president Maulana Bhashani, general secretary Shamsul Haque and Bangabandhu Sheikh Mujibur Rahman were arrested when they demanded food for the poor people in that procession. This time he was kept in jail for almost two years. On February 26, 1952, was released from Faridpur prison. On 30th May 1954, Bangabandhu Sheikh Mujibur Rahman returned to Dhaka from Karachi as a member of the United Front Cabinet and was arrested. He was released on 23rd December. On October 12, 1958, Bangabandhu Sheikh Mujibur Rahman was arrested by the then military government. After being held in prison for around fourteen months, he was released again and again arrested in jail gate. On December 7, 1960, a writ petition was released in the High Court. On 6th February 1962, he was again arrested on public security law and released on 18th June. In 1964, he was arrested again 14 days before the presidential election. In 1965, he was sentenced to one year in prison for filing a case of sedition and abusive speech. Later, the High Court issued the relief from Dhaka Central Jail. Bangabandhu Sheikh Mujibur Rahman presented a historic 6-point demand at the national conference of opposition parties on 5 February 1966 in Lahore. On 1 March he was elected Awami League president. The six points demanded by him as a demand for the survival of the people of Bengal raised the demand for autonomy in which the underlying objective was the independence of Bangladesh. Bangabandhu Sheikh Mujibur Rahman was arrested and secured bail in the first three months of 1966 in different cities including Dhaka, Chittagong, Jessore, Mymensingh, Sylhet, Khulna, Pabna, Faridpur, due to public demand for one claim after another. There were many other days like these when Bangabandhu Sheikh Mujibur Rahman spent his life in jail. You will be able to know the experiences and thoughts of the best Bengali of thousand years by reading this book.